Dr. Robert Neville in "I Am Legend"
When you&apos;re living in a city where 90% of it&apos;s inhabitants are dead and the rest are freakishly fast and strong zombies and it&apos;s all your fault, we would think it would be hard to get out of bed and dressed in the morning. 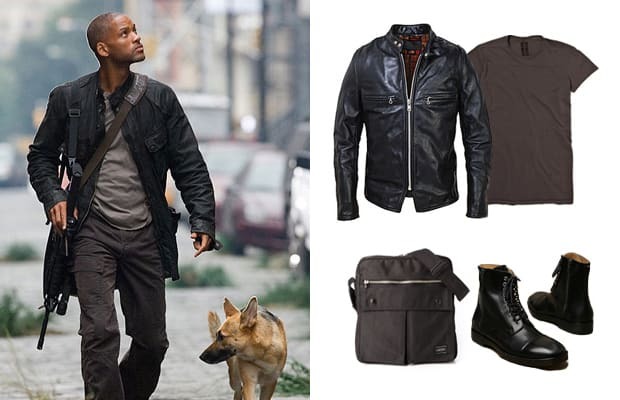 Dr. Robert Neville didn&apos;t quite see it that as he still pulled off a stylish city hunter vibe in "I Am Legend" that definitely piqued our sartorial interest, even though he didn&apos;t really have anyone to dress up for except that mannequin in the movie store. We don&apos;t blame him, though. Gotta get it somehow, right?